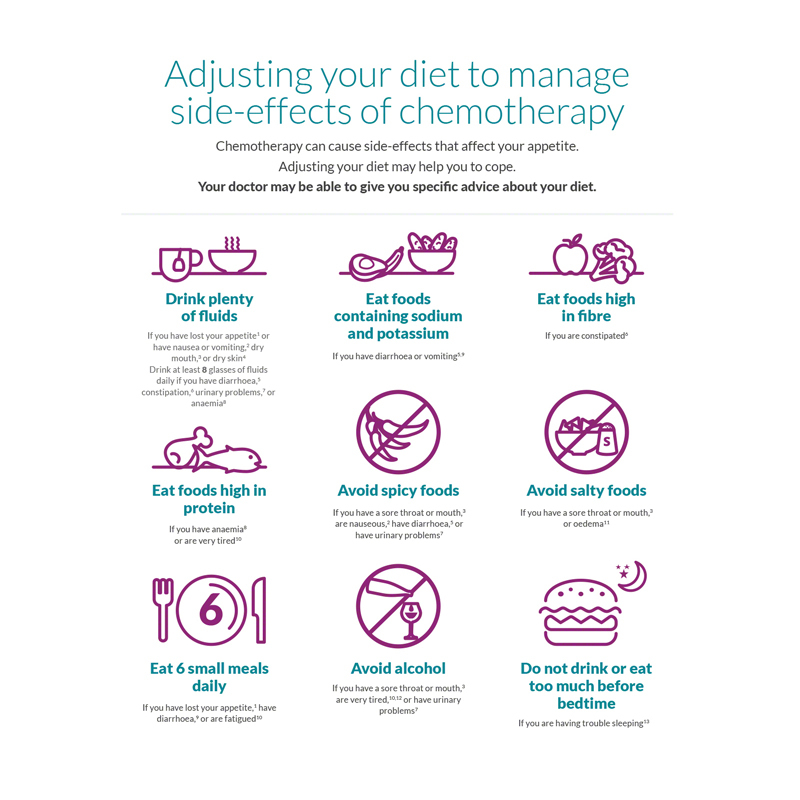 Description & process: Chemotherapy can cause side effects that affect appetite. Adjusting diet may help patients to cope and diminish the side effects. With this idea in mind we worked to create a visual vocabulary that can communicate about the most important concepts related to chemoterapy side effects.